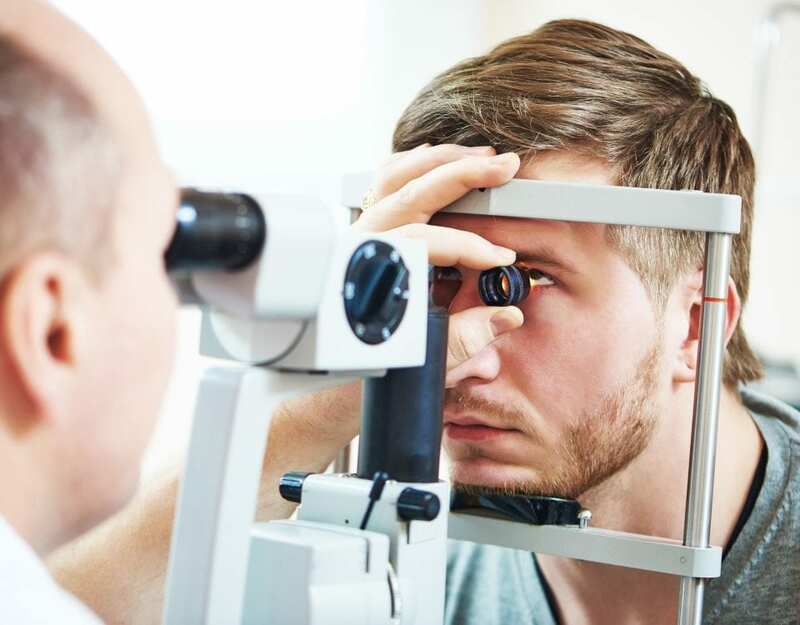 Over 150 million Americans need glasses or contacts to address refractive errors. While glasses now come in more styles than ever, more and more people desire contacts. Many prefer them due to aesthetics, participation in sports, or general comfort level. For real, have you ever tried laying on your side with glasses? While contacts and related technology have progressed over the years, many people are still fearful of putting something in such a sensitive part of the body. On the fence about contacts? Wondering which type would be best for you? Keep reading below for five top reasons disposable contacts are the smart choice! 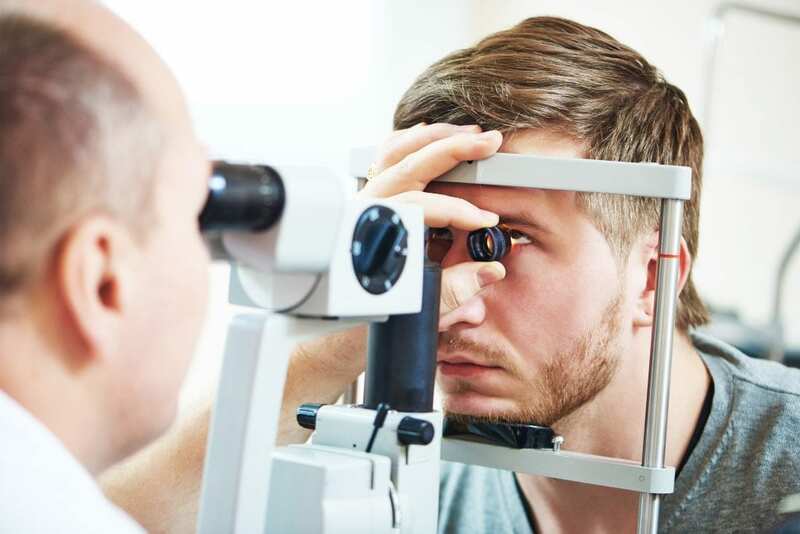 Anyone who has worn yearly or even monthly contacts can probably tell you that they often get uncomfortable towards the end of their life span. Yeah, you may think they are just “wearing out,” but there is actually a lot more going on. Over time, calcium, proteins, and lipids that naturally occur in our eyes can build up on lenses. Our lovely eyeballs are exposed to airborne particles that can get stuck as well. Maybe you’re saying to yourself, “But I would clean them and disinfect them just like the doctor says!” Great, but in reality, doing so doesn’t completely get rid of all the possible build-up that can occur over time. With daily lenses, you have a sterile, fresh pair every day. This will substantially eliminate any chance for discomfort. Having fresh lenses every day also reduces the chances you could get an infection. 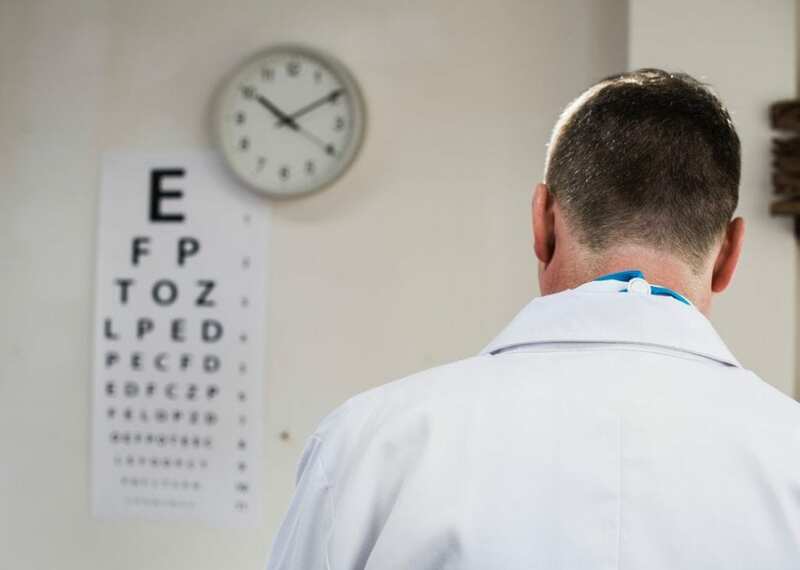 Without perfect contact lens hygiene (hand washing and regular case disinfecting), bacteria can hang out and grow on lenses, ultimately reaching your eye. If this sounds scary, it should. 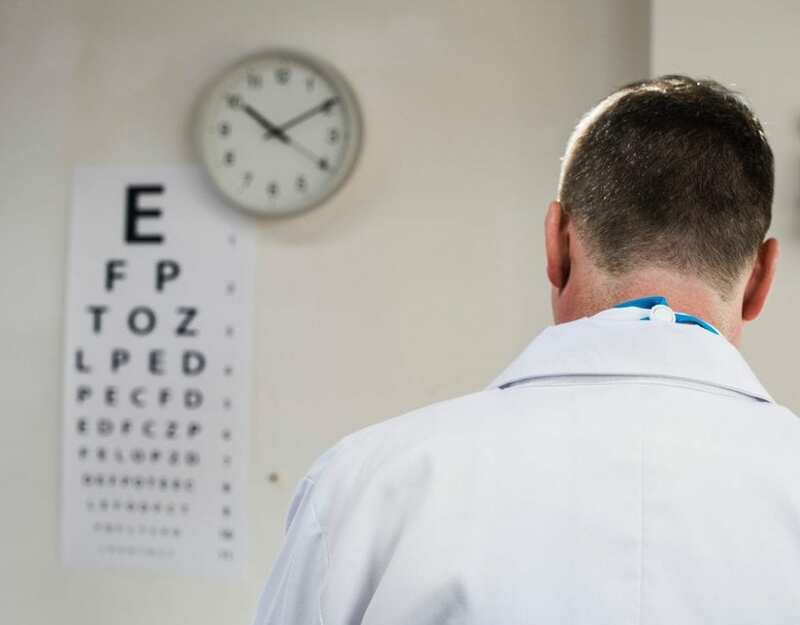 Untreated eye infections can lead to permanent vision changes, including blindness. Let’s face it. Sometimes we all are so tired in the evenings that we let our personal hygiene slide a little bit. Shout out to all the unused floss in our medicine cabinets. While our teeth won’t necessarily fall out by skipping a nightly brush here or there, going to sleep with contacts in means a rude awakening the next morning. Sometimes after a long night, removing and cleaning contacts can seem like a momentous task. But accidentally sleeping in lenses can lead to dehydrated and irritated eyes. Unless they are specific kinds, most lenses become dry overnight and are difficult to remove. Sleeping in contacts not designed for such use essentially cuts off the oxygen to your cornea. It also traps any allergens on your eye for the entire night. 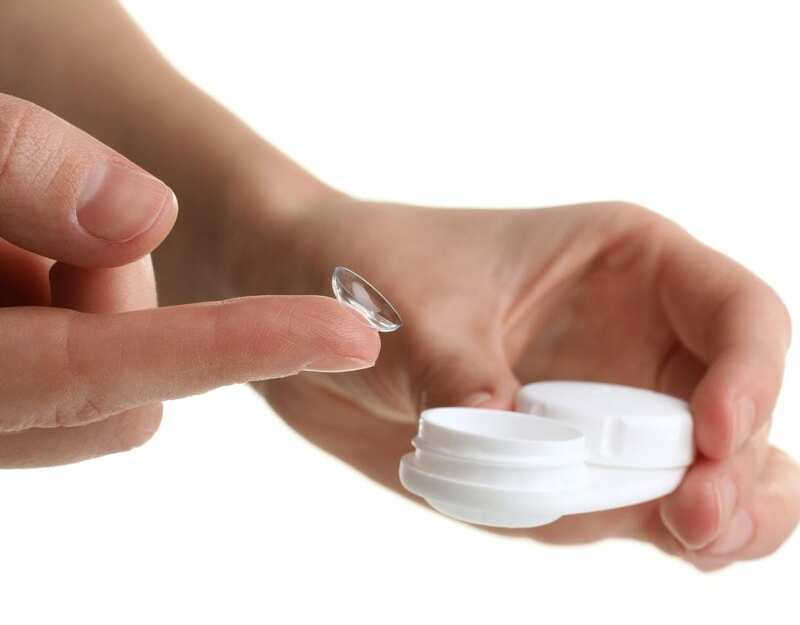 Switching to disposable lenses means you can say goodbye to this time-consuming routine. Instead of worrying about getting them squeaky clean, you can simply throw them in the trash! Disposable contacts are also great for those who travel. Instead of making sure you have a case and enough saline solution, you simply need to pack enough pairs for each day you will be there. Just remember also to pack a pair of glasses! 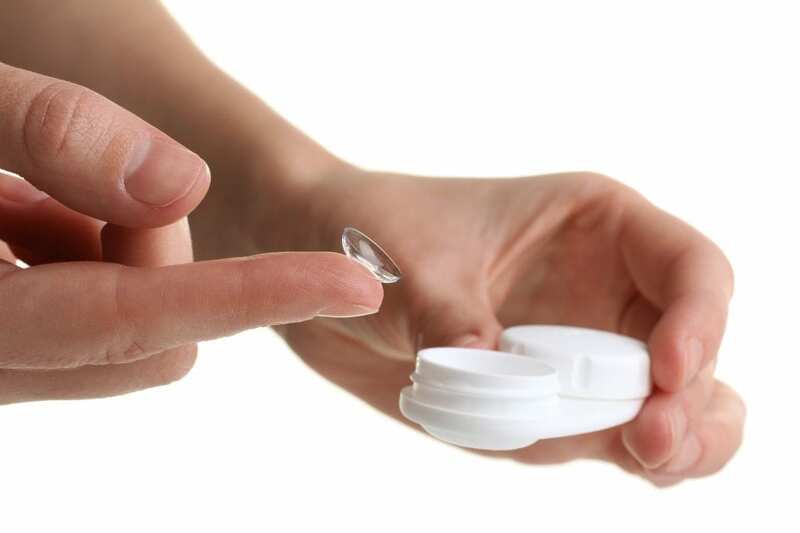 Daily contacts are typically thinner than extended wear lenses. This makes them easier to adjust to for those completely new to contacts. Work with your eye doctor. They likely will instruct you to wear them for a few hours a day to start and gradually increase the time. Until you are used to them, having lens safe rewetting drops could be helpful. Because of the nature of daily disposables, they make an excellent choice for teens and young adults who may struggle with the necessary upkeep for extended wear lenses. Those new to contacts may also rip lenses, especially at the beginning. With monthly or other extended lenses, this can be an expensive accident. Luckily though, with daily contacts, one ripped lens isn’t the end of the world. Nearly 5 million Americans alone suffer from dry eye. People who try to wear contacts with dry eye experience even higher levels of discomfort. You might think it’s simply impossible to wear lenses with dry eyes, but that’s not always the case. Many daily options have a very high water content that gives a smooth surface to your eyes. Hydrogel lenses specifically have water-binding properties. These let the contacts retain more water than extended wear contact lenses. Sometimes dry eye can actually be caused by an allergy to preservatives. These allergies or intolerances can happen years into wearing lenses. Be sure to discuss issues with your doctor, who can recommend different solutions. Switching to disposables is one way to avoid this issue completely, as you won’t need to use any solution regularly. Up front costs sometimes scares people away from testing out daily contacts. And yes, you will definitely pay more for the lenses than you would for monthly options. But keep in mind that with disposables, you no longer need to purchase solutions, cases, or cleaner! More good news is that daily lenses have continued to become cheaper and cheaper over the years. And there is no reason to think that trend will slow down. Most brands will also offer rebates for purchasing multiple boxes. These can be from $50 to $200! As you can see, there are many amazing benefits of using disposable contacts. Whether you are completely new to contacts or a seasoned veteran looking for a healthier option, we hope this information was helpful! Looking for more information? Eager to discuss lens options that are right for you? Please contact us and we would love to help you out!